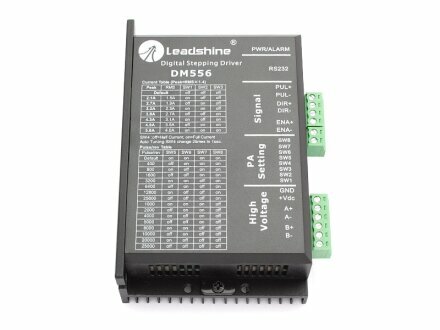 The DM556 is a versatile fully digital stepping driver based on a DSP with advanced control algorithm. 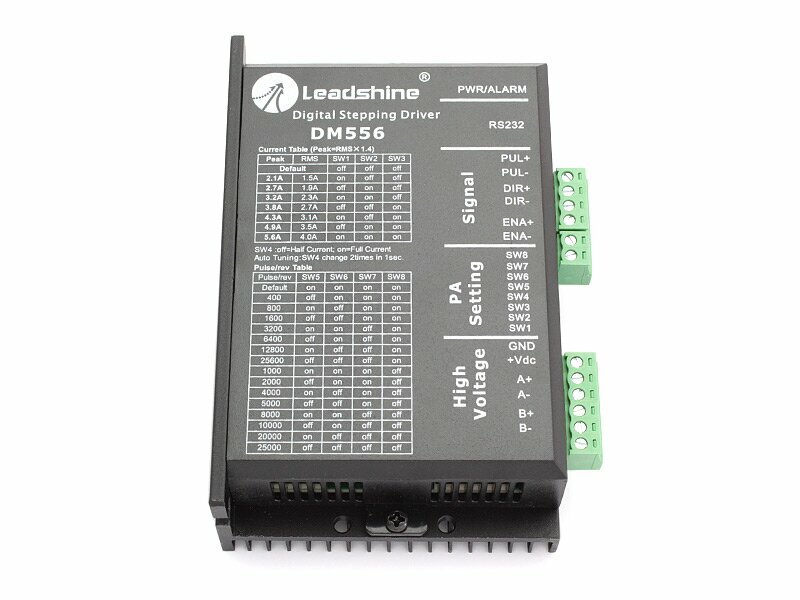 The DM556 is the next generation of digital stepping motor controls. It brings an unique level of system smoothness, providing optimum torque and nulls mid-range instabilities. 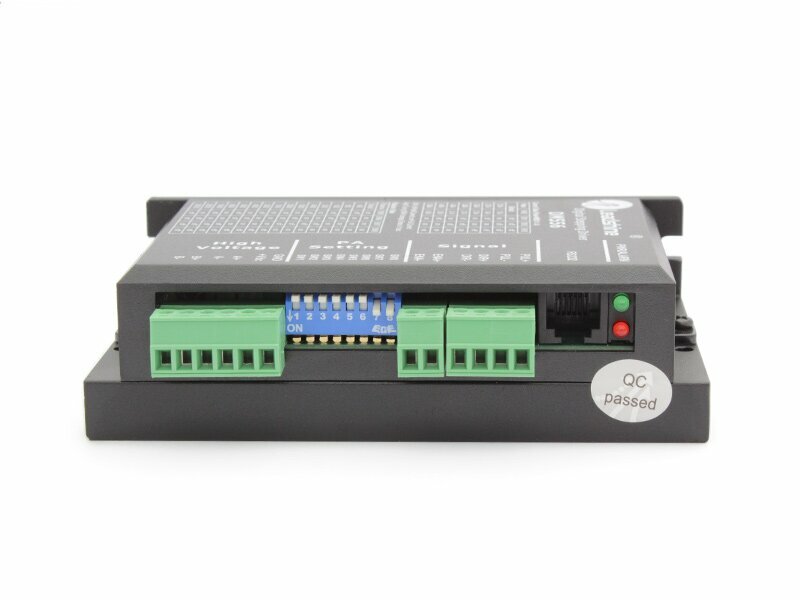 Motor self-test and parameter auto-setup technology offers optimum responses with different motors and makes it easy to use. The driven motors can run with much smaller noise, generate less heat, and move smoother than most other drivers on the market. Its unique features make the DM556 an ideal solution for applications that require low-speed smoothness. 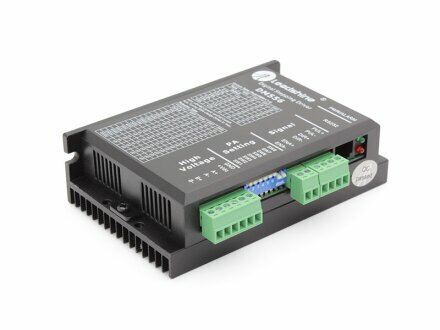 Compared to the DM432C, the DM556 provides a large voltage range and higher output current to able to drive a larger variety of stepper motors. Furthermore, the DSP of the DM556 is capable of driving the motors at higher speeds (above 3000 RPM) offering servo-like performance.